This five page Arctic Animals Activity Learning Pack for Preschoolers is perfect to pair with an arctic animals unit study! There’s enough content here to last a full week, and you can pair it with the Arctic Animals Literacy Pack and the Arctic Animals Math Pack for a well-rounded week of arctic animal themed homeschooling! 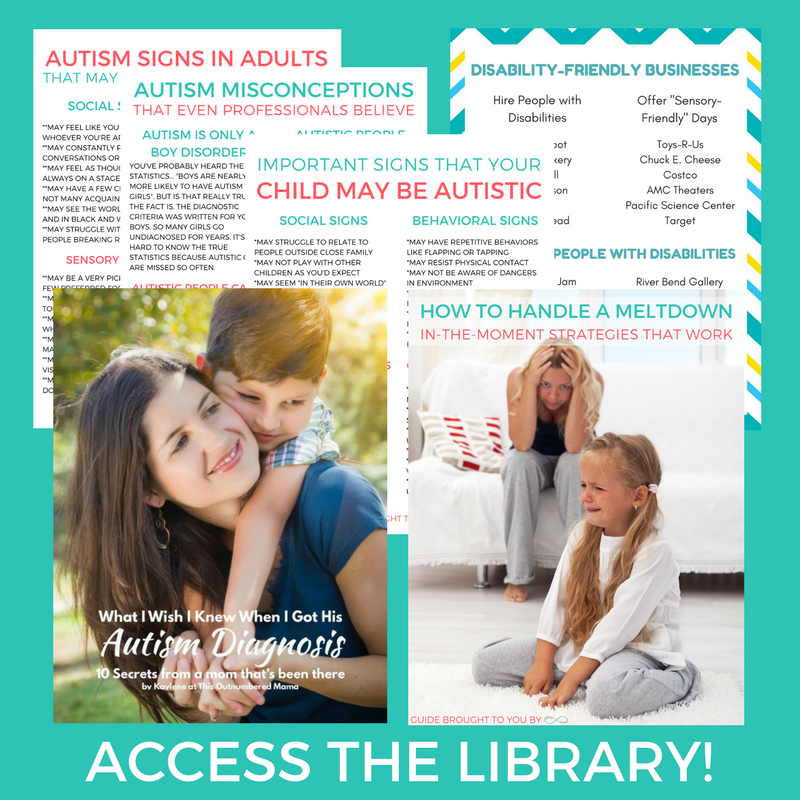 Arctic Animal Which One is Different – Practice visual discernment and recognizing patterns with this fun worksheet! Arctic Animal Which Are the Same – Tell the kids they need to solve the mystery… Which animals are exactly alike? Arctic Animal Which One is Bigger – Work on visual skills and spacial concepts with this activity! 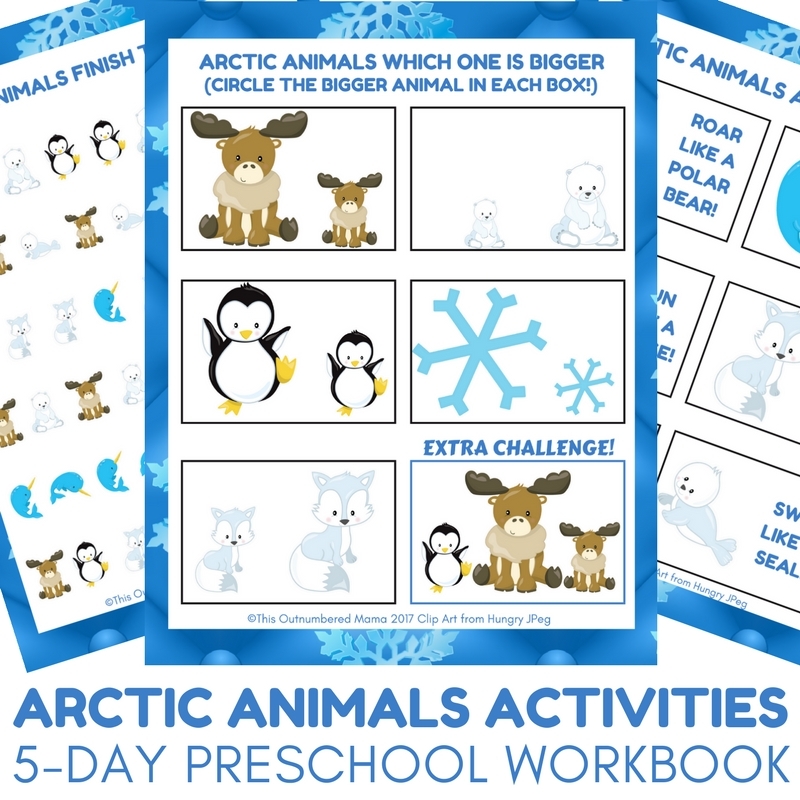 Arctic Animal Moving Activity Cards – Cut these out to get your preschooler moving and grooving! 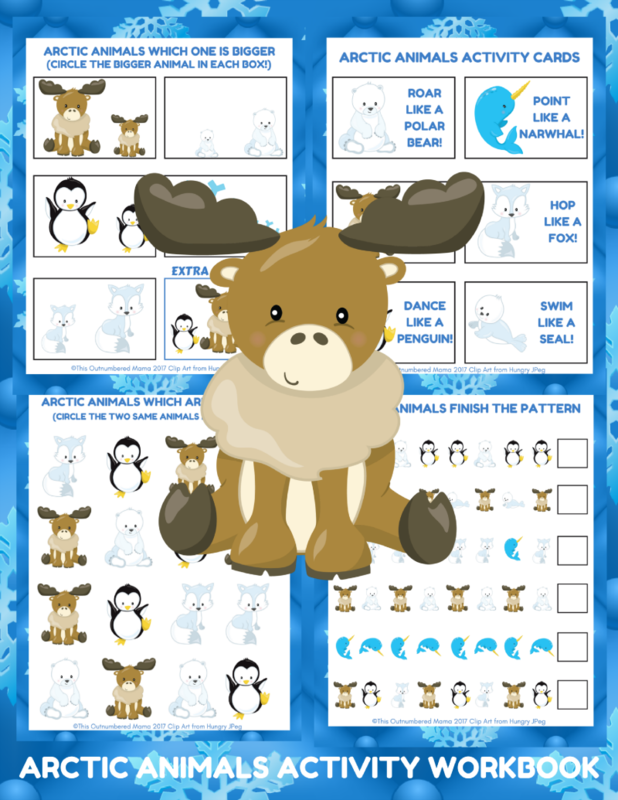 Arctic Animal Finish the Pattern – Work on recognizing and finishing patterns with this adorable worksheet!